Reliant Tabs are a unique pre-measured tablet that can simplify your infection control procedures. This one-product solution cleans, disinfects and sanitizes hard, non-porous surfaces. Effective against a wide range of micro-organisms including C. difficile spores. Meets the OSHA Blood borne Pathogens Standard. be used at higher levels as a disinfectant but at low levels it is approved worldwide to purify drinking water. See product label for complete list of disinfectant claims. 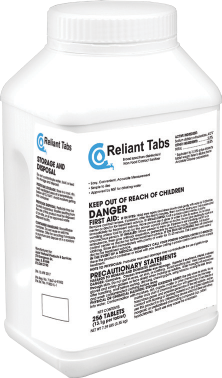 Reliant Tabs are used for cleaning waterlines as well as surface disinfection. 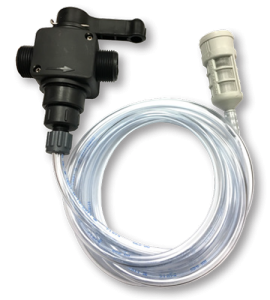 When flushing solution into the waterlines it is critical that the entire line is completely full of solution. 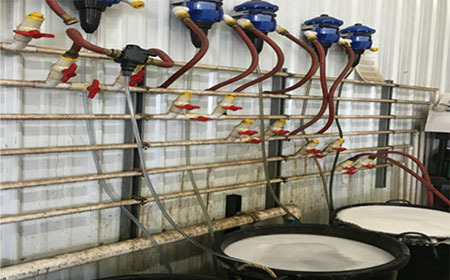 Some farms don’t have enough pressure to keep the lines full with all lines flushing at once. If you are low on pressure flush in solution one line at a time. Repeat the above step for flushing with clean water to make sure the solution has been completely removed. Flush with clean water for 10-15 minutes to insure solution has been removed. 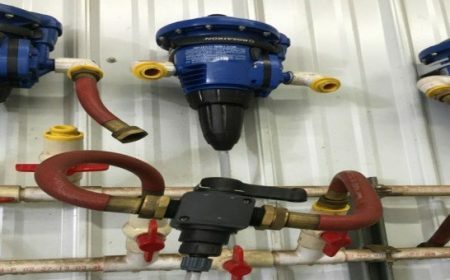 If you are low on pressure flush one line at a time with clean water.